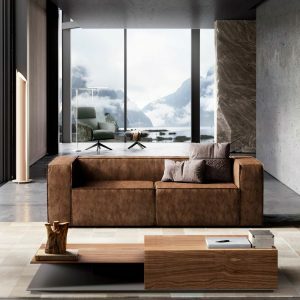 Sleek design, flawless style and plush comfort are all wrapped into one amazing package with this stunning sofa set. 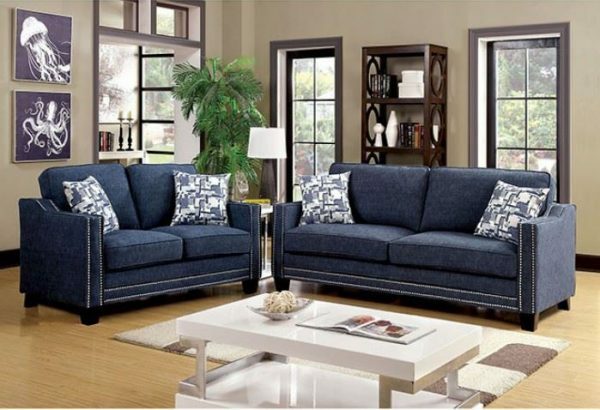 Upholstered in a padded chenille fabric and accented by both nailhead and welting trim, this set is sure to be a show stopper. Structured track arms create a chic appeal while paired with printed accent pillows for perfect relaxation.